Here is Day 1 of portraits. This is done in Micron black ink on (I think) watercolor paper. I’m using an old sketchbook that I made back in college to hold these drawings. Half way through this drawing I swore I was drawing the Grinch, but it turned around a little. I drew this from a photo obviously. I don’t think that I quite captured the crazy smile on his face, but eh, it’s Day 1! Please feel free to participate in this challenge! 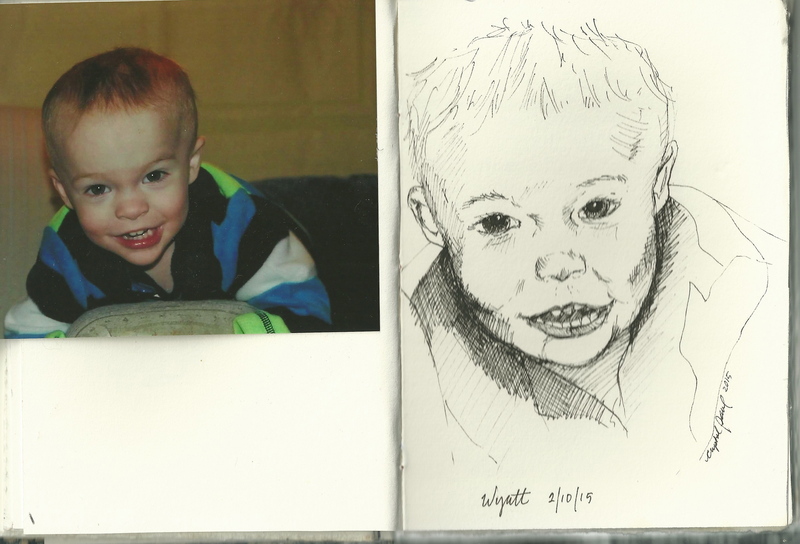 Post your own drawings (no original photo necessary) or send along a link to your image. Please remember though, this is not a place to advertise your blog or website. If you’re participating in this challenge, then link us through to the image or page where your image is located. Thanks!